Open House New York is an annual event celebrating buildings and projects around New York City–from workspaces and cultural venues to private residences and infrastructure facilities–open up for tours and talks with architects, urban designers, historians, preservationists, and civic leaders. MPA has always been an active member of the event. 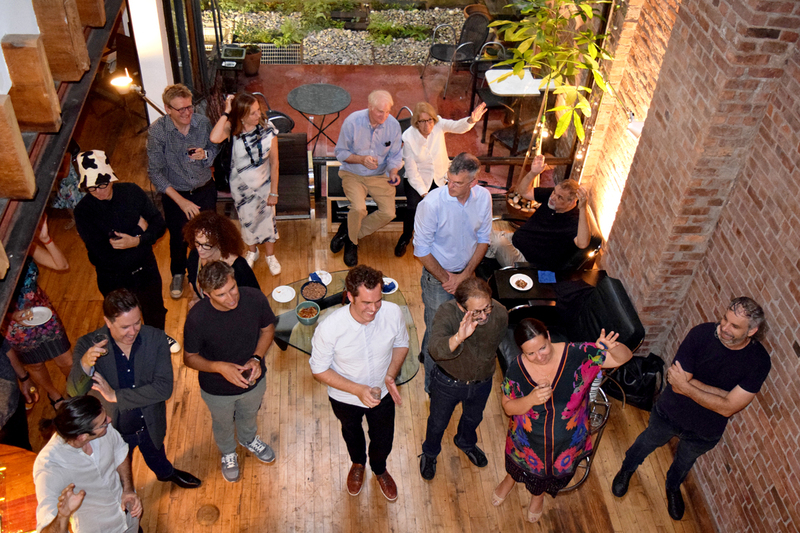 In the past years, we presented Duane Street Live Work Loft and Elmhurst Community Library. 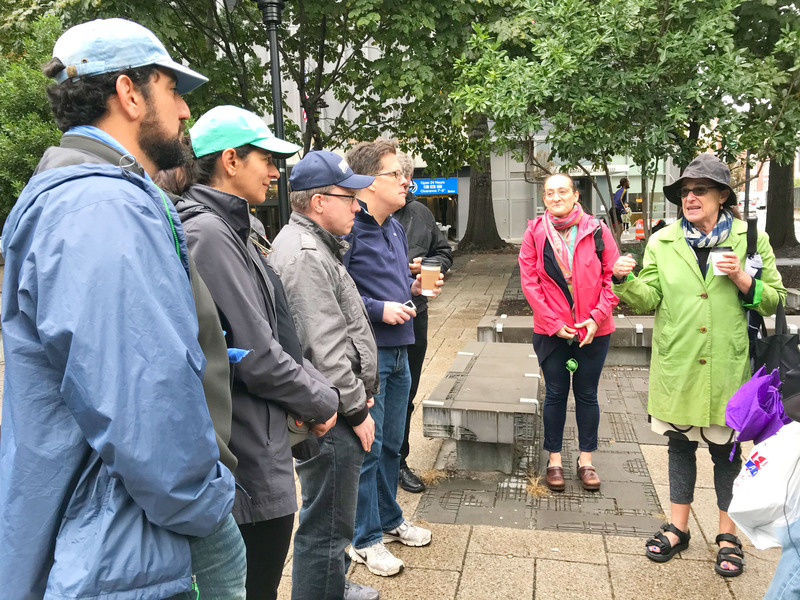 This year, on Saturday, Oct 13th, MPA principal Linda Pollak led a tour of Queens Plaza, telling the story and design process behind the project. The James Baldwin Outdoor Learning Center, designed by Marpillero Pollak Architects, is one of the eight selected advocacy and civic engagement projects exhibiting in this year’s MAS Innovation Exhibit on Tuesday, October 9, at St Bartholomew’s Church. 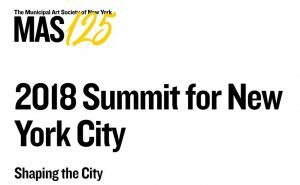 The MAS Summit for New York City is a signature conference that attracts a diverse audience of policy-makers, industry leaders, and engaged citizens. 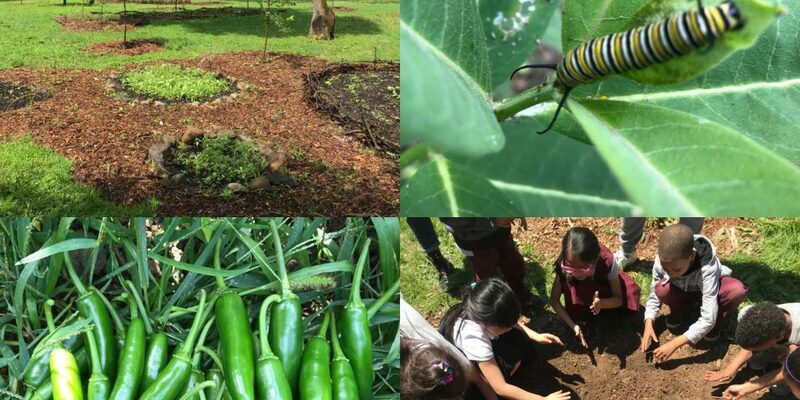 The James Baldwin Outdoor Learning Center project comes together to transforms the grounds of DeWitt Clinton High School into a destination for learning, growing, health, and community, connected by accessible trails. In the “Community Hub,” neighbors will engage in permaculture practices. The “School Hub” will be a versatile education and garden space including the “Welcome Table.” We envision a model community school that inspires resiliency, sustainability, and personal responsibility. Read more about stories behind the project. 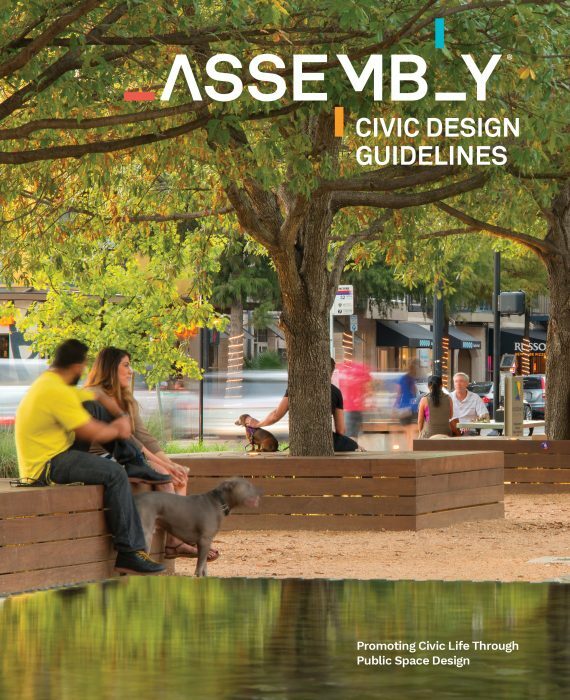 MPA is proud to have two of our projects, Elmhurst Community Library and Queens Plaza Bicycle and Pedestrian Improvements, included in The Center for Active Design’s recently released Assembly: Civic Design Guidelines, a new playbook for creating well-designed and well-maintained public spaces as a force for building trust and healing divisions in local communities. Download Assembly from CfAD’s website. 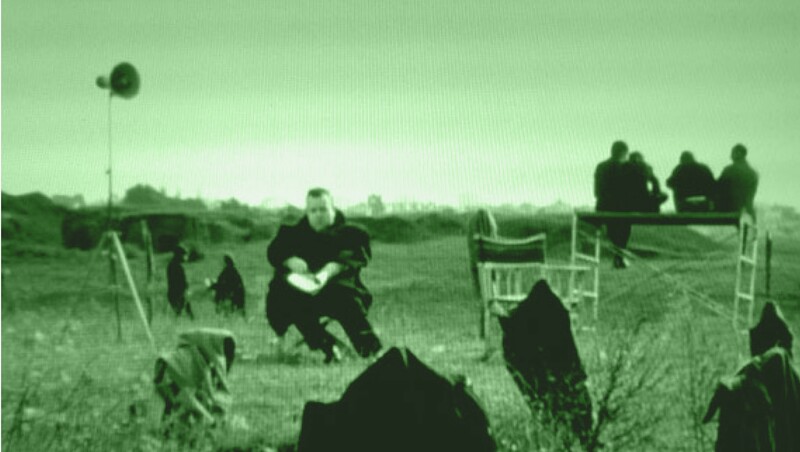 This summer, MPA marks 20 years since its founding in 1998. Thank you to all that have made it possible with your projects and collaboration to reach this significant landmark moment! 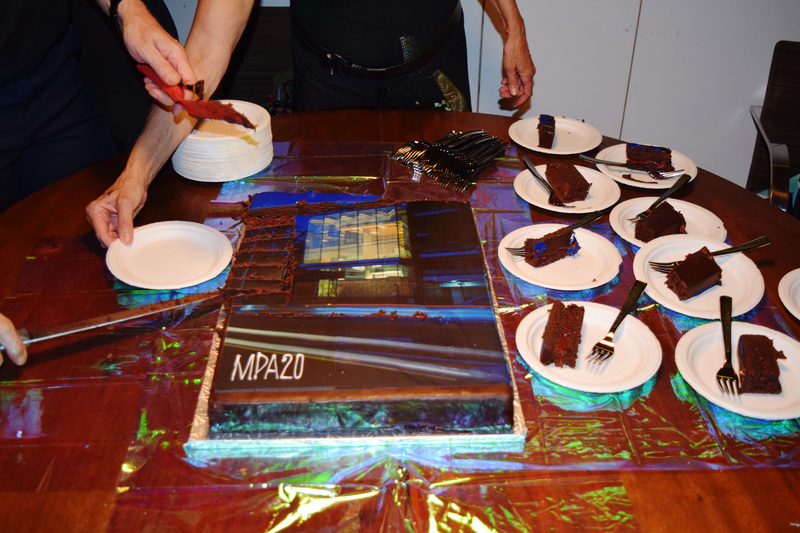 The event featured a beautiful and delicious cake by Duane Park Patisserie, decorated with a photo of Elmhurst Community Library by Richard Barnes. 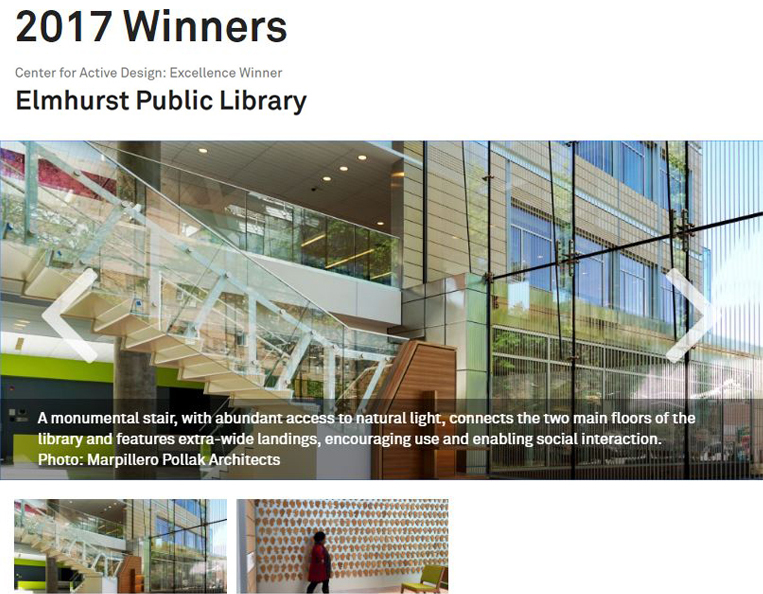 With over 80,000 users speaking more than 57 languages, Elmhurst is the second-busiest circulating library of the 64 in Queens Library’s network. 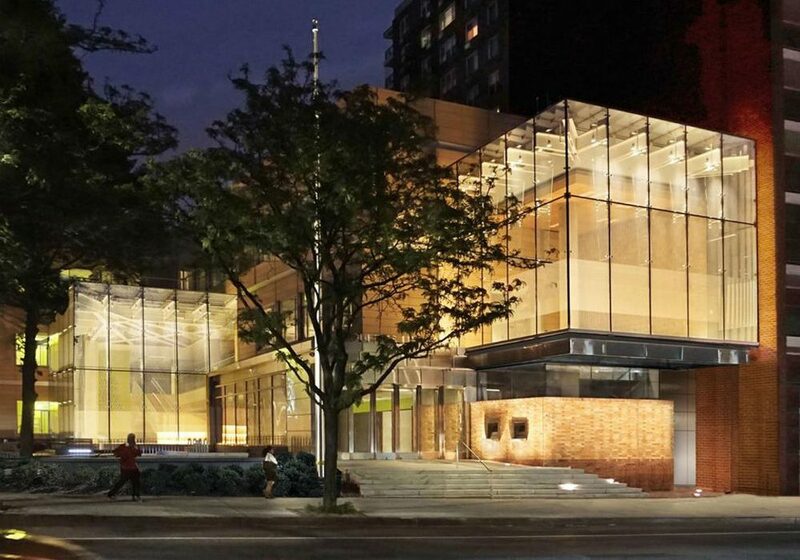 The building’s massing maximizes the impact of an existing community park and highlights the civic role of two reading rooms that emit a welcoming glow after sunset. The main circulation spine extends the streetscape toward a group of trees in the block interior. A system of brightly colored “portals” supports orientation and interaction among programmatic spaces catering to diverse age groups, reinforcing the library’s neighborhood significance. 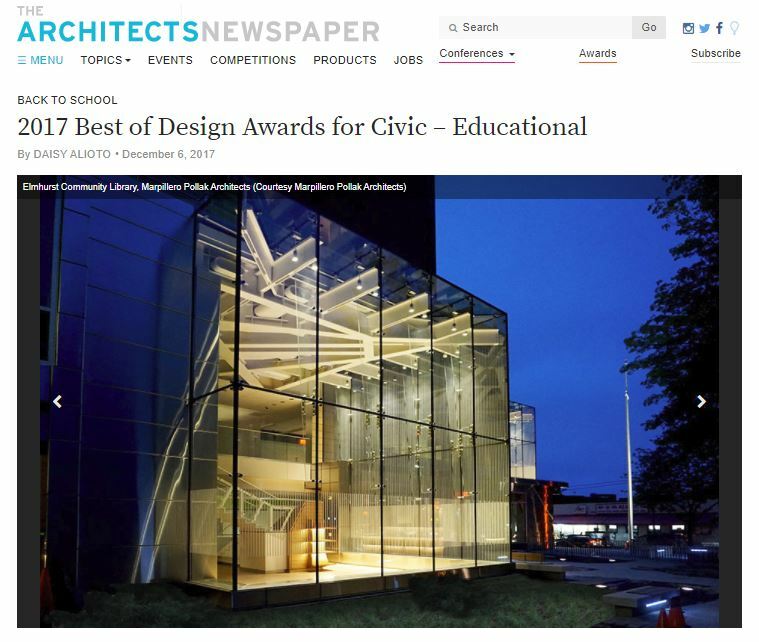 The main architectural elements are two structural glass cubes that position patrons within the community park and on the urban thoroughfare of Broadway. The park cube makes legibile the operations of the library’s two main floors with a monumental stair grounded by a bookshelf, while the Broadway cube floats above the main entry displaying the work 955 Shapes by artist Allan McCollum. Linda completed Social Economic Environmental Design (SEED) Training in Washington, DC with Design Corps. SEED® is a principle-based network of individuals and organizations dedicated to building and supporting a culture of civic responsibility and engagement in the built environment and the public realm. The SEED Network connects similarly minded members of the public with designers from the fields of architecture, industrial design, communication design, landscape architecture and urban planning. Design Corps creates positive change in traditionally underserved communities by using design, advocacy, and education to help them shape their environment and address their social, economic, and environmental challenges. 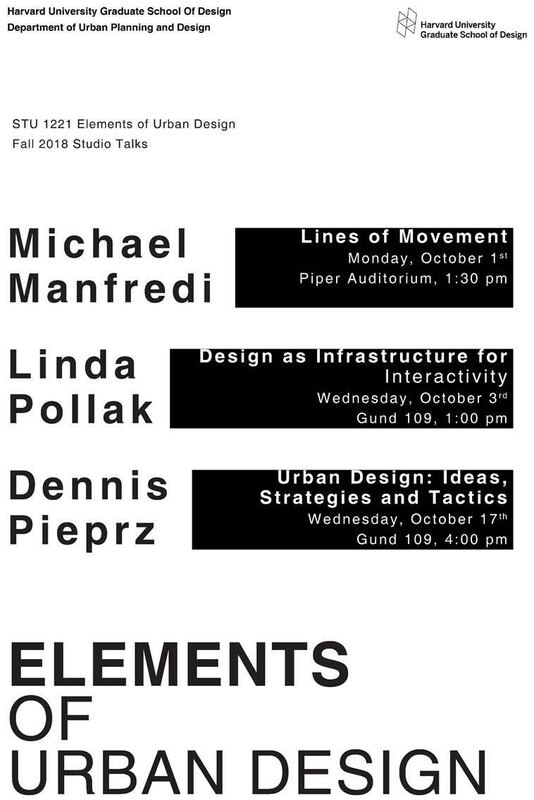 This seminar will articulate a conversation about how to creatively recombine a city’s productive tensions between the “real” world and “imagined” representations of its spatiality. Paradigmatic exhibitions on architecture and the city, spanning an arc of 35 years until the present, will provide base material for reinterpretation. The National Museum of the Arts of 21st Century in Rome (MAXXI) is promoting such conversation about contemporary architecture and the city, by inviting 12 Italian universities and 12 foreign ones to study different areas of a larger scale territory surrounding Rome. 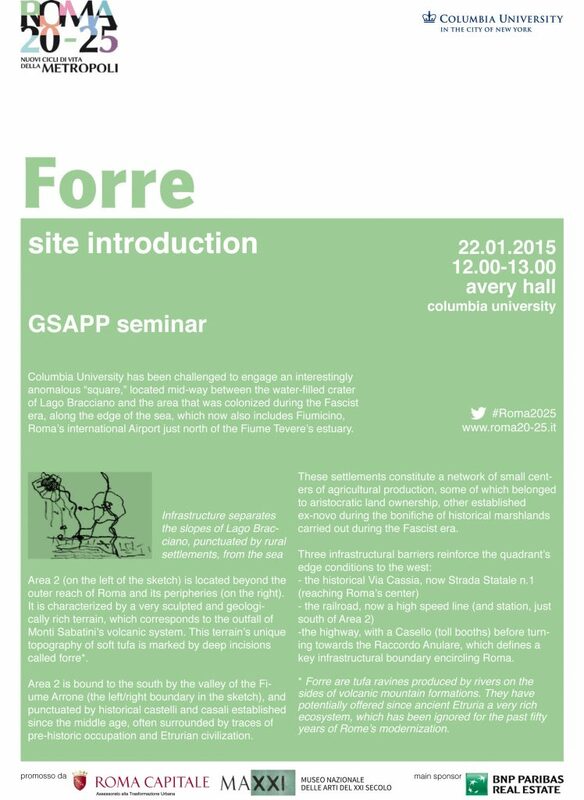 The GSAPP is one of the 24 participating institutions. The challenge posited by “ROMA 20 – 25. New cycles of life for the metropolis” is to elaborate research topics that hold together the clarity of a manifesto and parameters for a design project, engaging a territory that extends more than 25 km from the historical city center, also adopting a temporal projection of 10 years ahead.